In this 3 part article we will look at 11 ways – or suggestions – you can use to help you land *that job*. No matter if you are looking for your first job, switching careers all together or just looking at re-entering the workforce after a long time away due to illness or having a family. Finding a job requires 2 main tasks – #1 is to understand yourself and # 2 is to understand the ever changing job market. 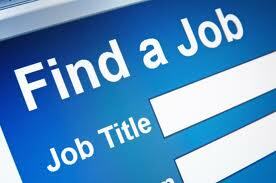 We will assume you have already chosen a career path you want to pursue and you are now actively searching for a job. Here are 11 ways to actually GET a job. * Proofread – and proof read again and again, go over your resume several times and look for any spelling or grammatical errors. Another idea is to have another person take a look at it as well, when you know what is written it can be easy to overlook mistakes. *Bear in mind that – as with dating, *weak* personal connections are a great way to find a new job, they help expand your network and provide you with more options. While you might know (for example) about your brother’s company, and, if they are hiring he’ll tell you about it, but what about any friends your brother has? Don’t be afraid to ask a friend of a friend for any recommendations while you are looking for a job. Don’t forget to come back and join us for part 2, we’d love to hear from you, feel free to post your own tips or ideas. Next ArticleHow Can Task Software Application Simplify Business Processes?